"This is an ambitious, wide-ranging, and superbly written account filled with wonderful insights into key players…Perlstein views the rise of Reagan, with his celebration of America’s ‘special destiny’ and moral superiority, as a rejection of a more honest and practical view of our role in the world after the traumas of Vietnam and Watergate. This is a masterful interpretation of years critical to the formation of our current political culture." "Rick Perlstein skillfully recounts the era that was shaped by the scandal and the way in which the sordid activities of the Nixon administration unfolded on a day-by-day basis." 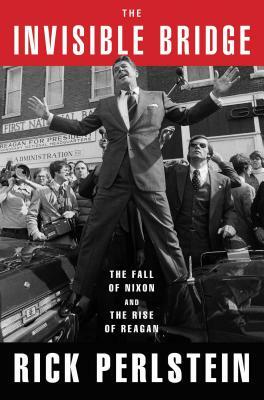 "A volume on the Reagan presidency surely beckons. If it is as crammed with historical gems as this one, readers will be well served." "The author of Nixonland is certain to generate new debates among conservatives and liberals about Reagan’s legacy." "Magnificent…an extraordinary book, massive in scope and detail, and essential to a complete understanding of our nation’s politics. There are two contemporary historians who must be read by anyone hoping to understand American politics. One is Robert Caro, and the other is Rick Perlstein." "Perlstein’s narrative gift allows him to take Reagan’s seeming simplicity and dissecting the layers of complexity that went into crafting it." “Perlstein knows so very much about American politics, some of it profoundly evocative of lost worlds and pregnant with understanding of our own… What places Perlstein among the indispensable historians of our time is his empathy, his ability to see that the roles of hero and goat, underdog and favorite, oppressor and oppressed are not permanently conferred… It requires such an empathy to reimagine the mid-’70s as a time, rather like our own, when almost nobody looking at the surface of day-to-day life was able to take the full measure of the resentment boiling just underneath it." “Perlstein’s achievement, both in this volume and the series as a whole, is impressive. The research is prodigious, the prose vivid, and one can only imagine what his treatment of Reagan’s presidency will bring….. Perlstein covers a great deal of ground masterfully." “Witty look at the high-voltage politics and culture of the early ’70s." "Perlstein’s deep research–especially into the newspapers and magazines of that time–is artfully arranged and written."